We continue our coverage of the 2012 Stockholm Furniture and Light Fair with a selection of especially haute seats. The allure of a well-designed chair is tough to resist and there were plenty of lookers on the show floor. Most featured the attributes we all come to expect from Scandinavian design: blonde wood, hardy textiles, and crisp lines, but a few bucked the mold, featuring looser silhouettes and knitted slipcovers intended to act as furniture garments. HAY released reissues of Danish classics by Poul M. Volther, Jørgen Bækmark, and Folke Pålsson. This ash rocker is by Marte Straalberg, a student at the Bergen National Academy of the Arts, and was shown in the Greenhouse student design expo. One Nordic unveiled this collaborative project with Form Us With Love. 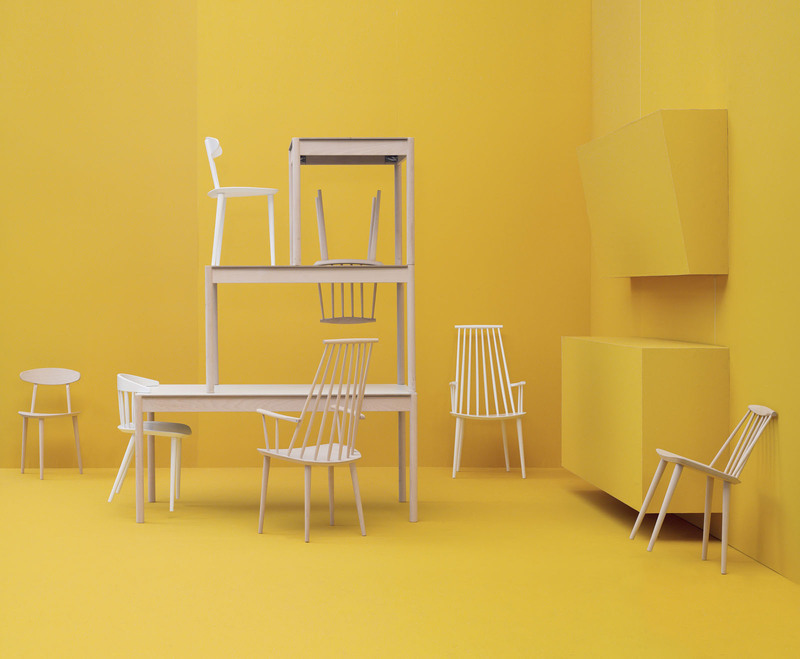 The Bento chair is a high-design answer to Ikea, as the designers explained. They wanted to create a chair that would be simple to assemble, needing no instructions or special tools. The bentwood pieces would be easy to put together since their shape dictates their parts (ie. there's no confusing a seat back for a leg). The Meet pouffe and table by A2 was released this at the fair this year. It's intended to be used for public spaces, but I think that it would serve as an ottoman or side table quite nicely. Soft upholstery envelops the Coupe chair by Läufer + Keichel for Offect. "The duo wanted to create a chair that gives the impression that it is wearing pants," writes Offect on their blog. The Ferdinand chair by Åke Axelsson for Gärsnäs. The piece looks rigid now, but I have a feeling this one will age quite nicely once the leather breaks in. Inge Sempe's Österlen chair for Gärsnäs was released in 2011, but went into production this year. Small slices into the bentwood pieces give the chair dimension and help define its shape. Paired with its coordinating table, this makes for a nice dinette for small spaces.